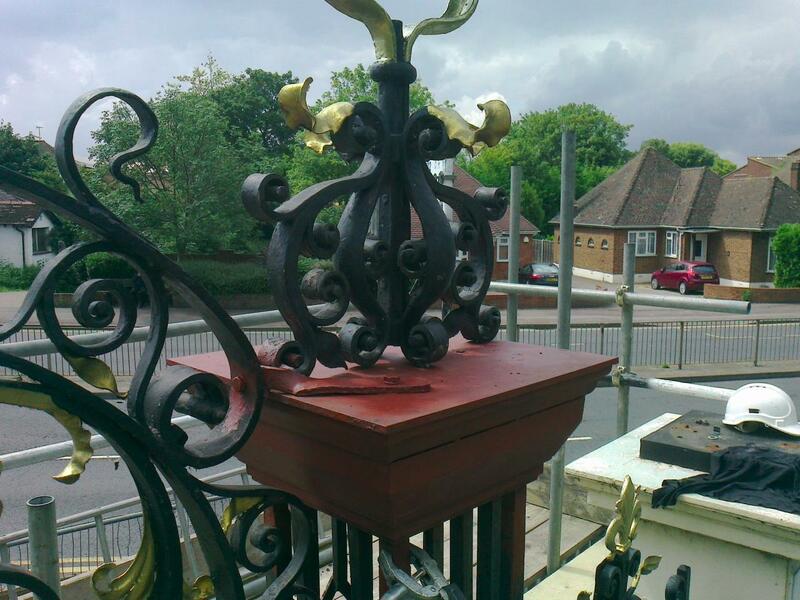 “Quality workmanship, Quality service. 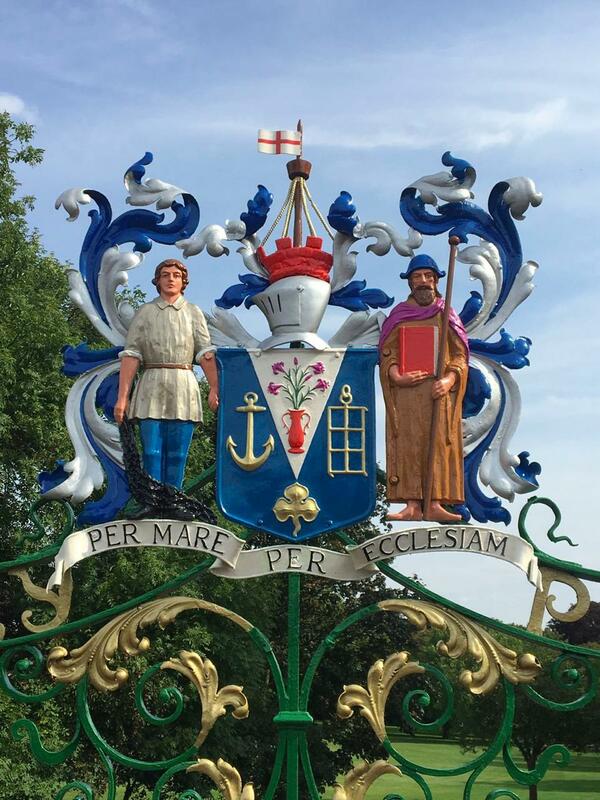 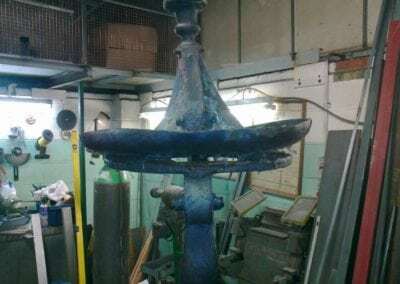 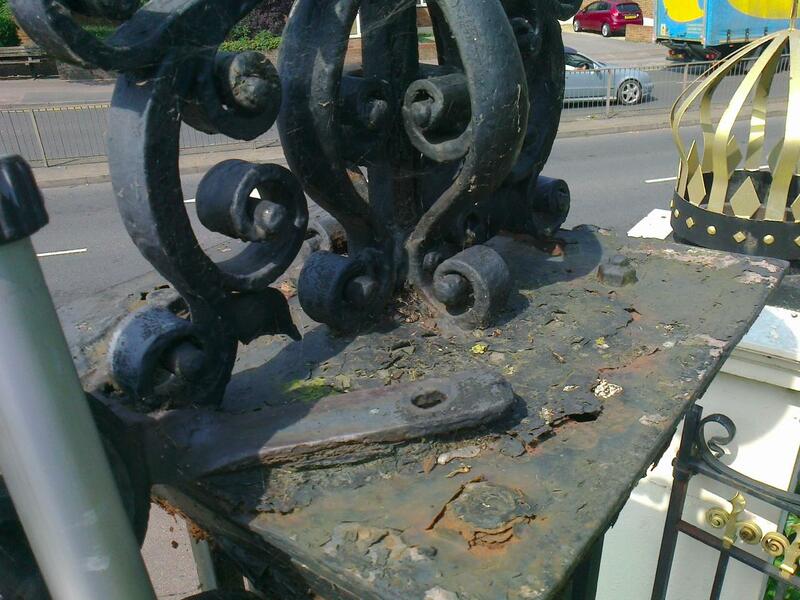 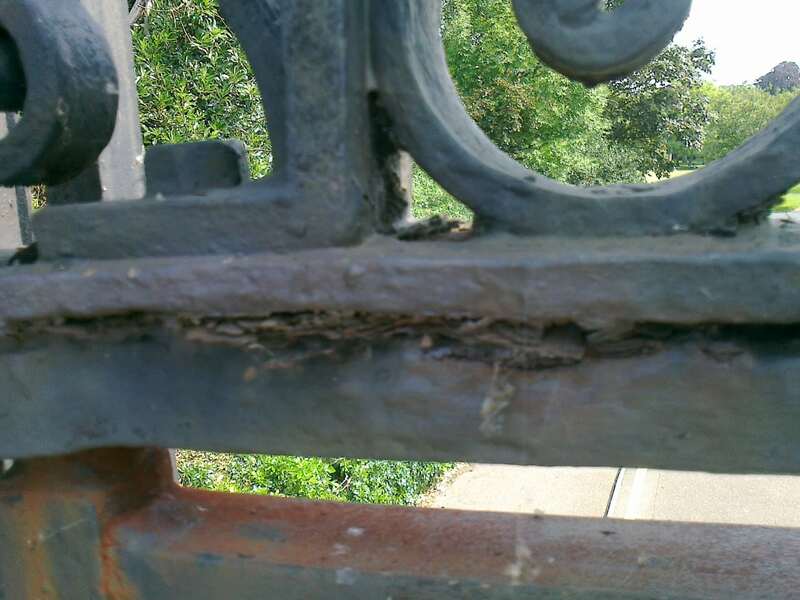 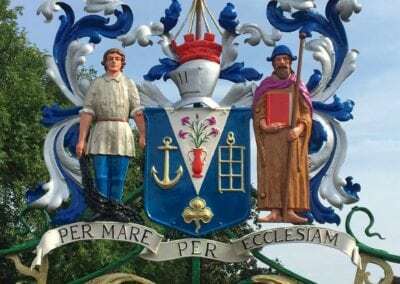 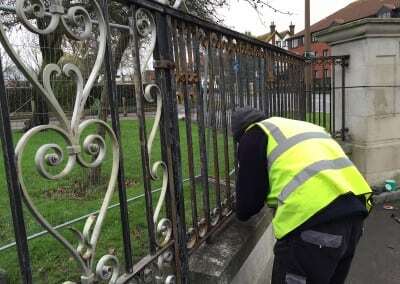 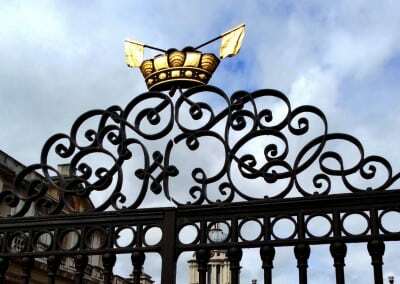 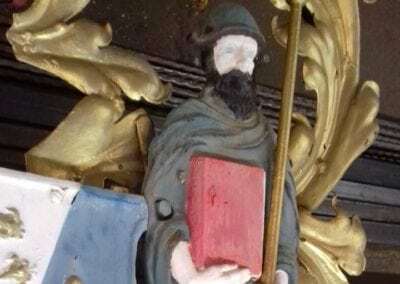 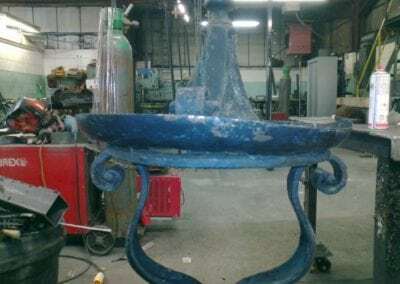 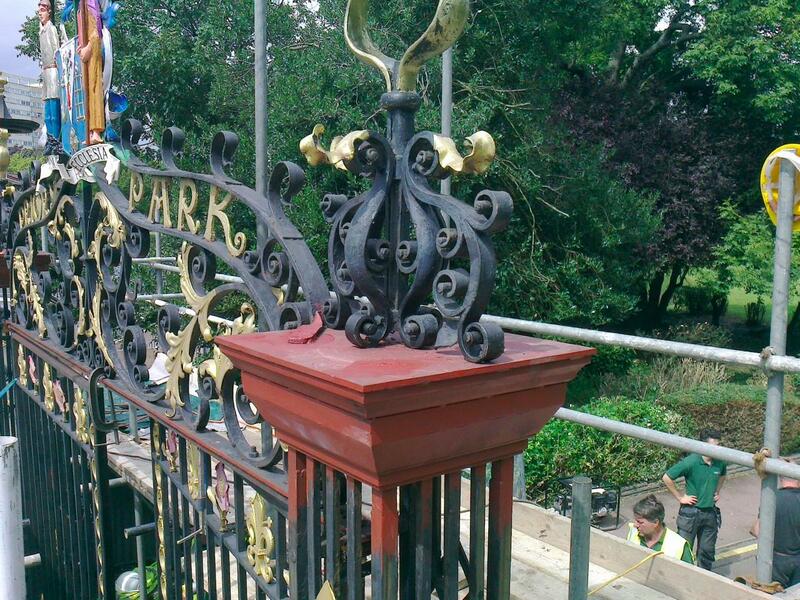 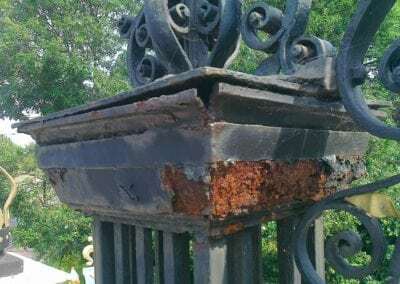 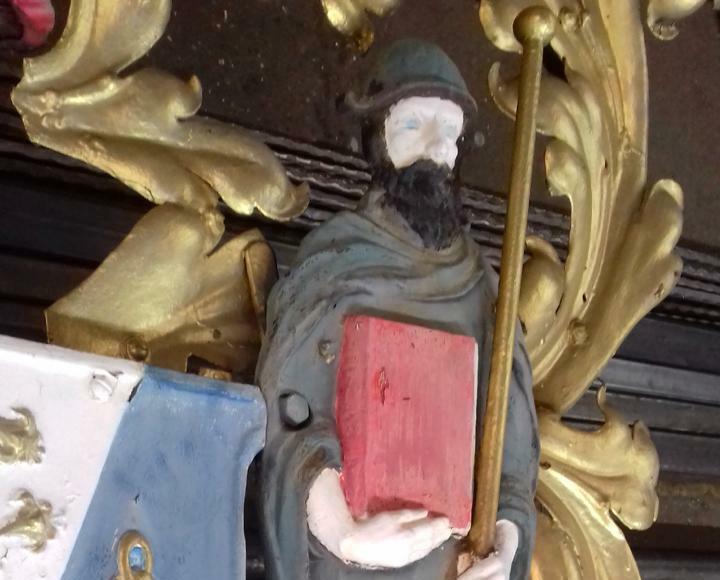 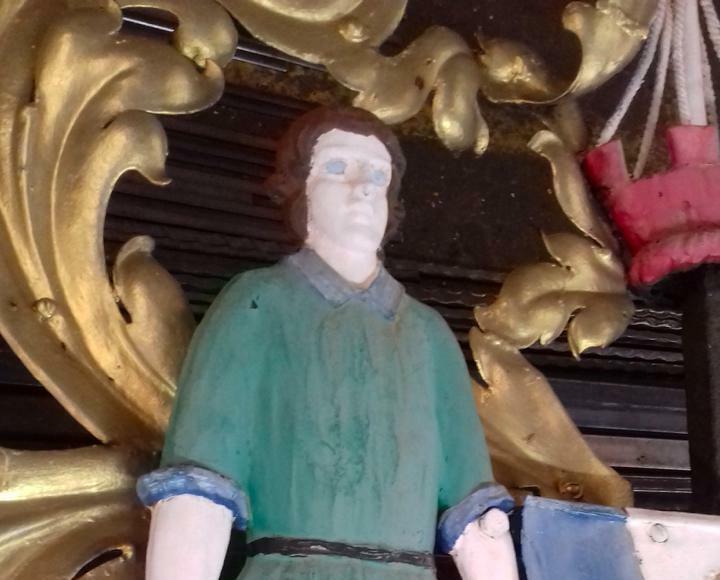 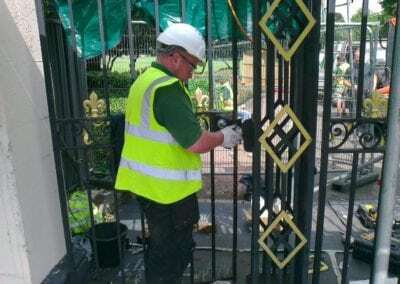 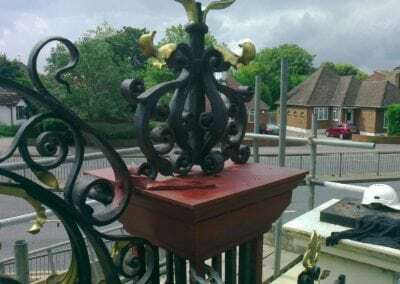 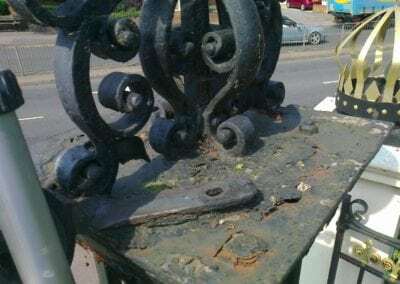 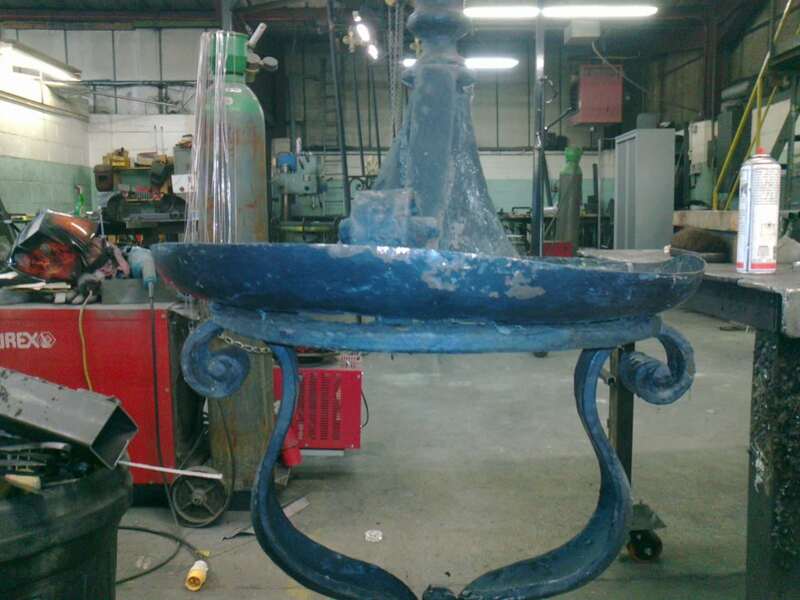 I would recommend Waltham Forest Engineering to anyone wanting heritage iron work done.” Jacques Gain, Green Space Development Officer, Southend-on-Sea Borough Council. 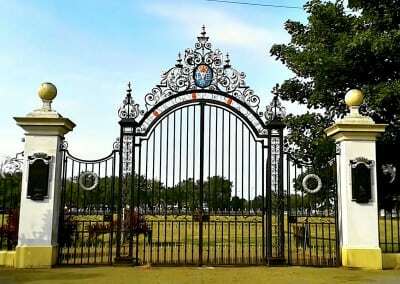 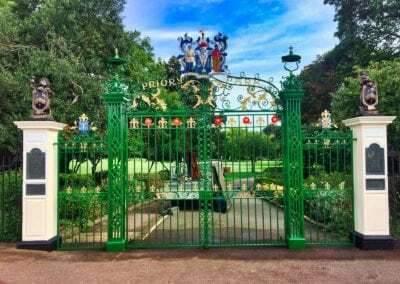 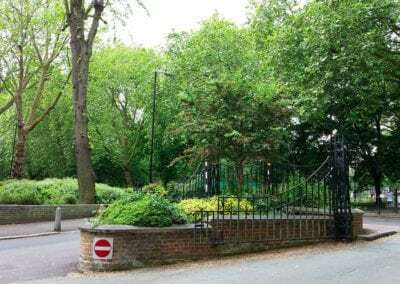 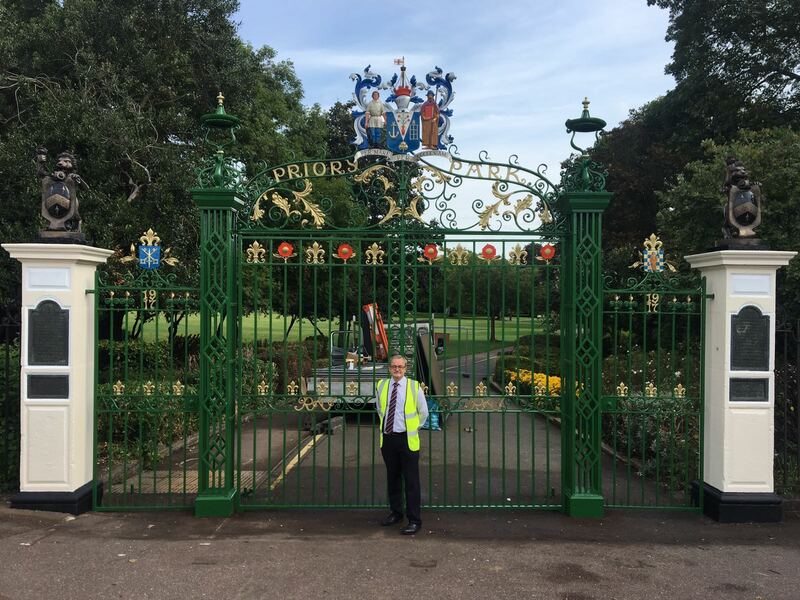 Very happy with the work we’d carried out at Victory Sports Ground and Chalkwell Park, the Council asked us to repair and re-repaint the gates in readiness for their 100th birthday celebrations. 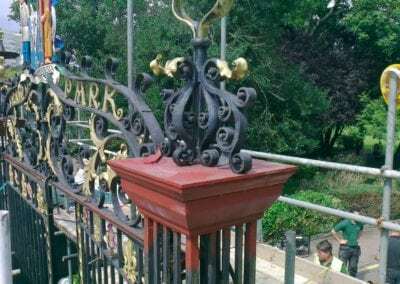 They were re-opened by the Mayor on 31st August 2017. 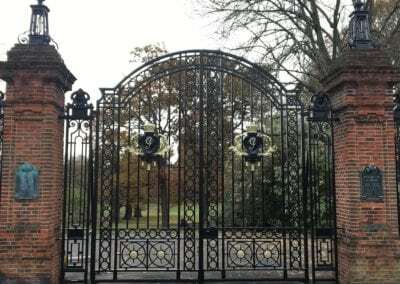 Our directors were invited to the ceremony. 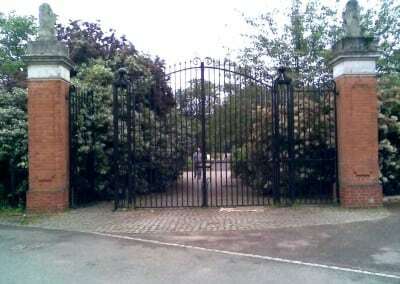 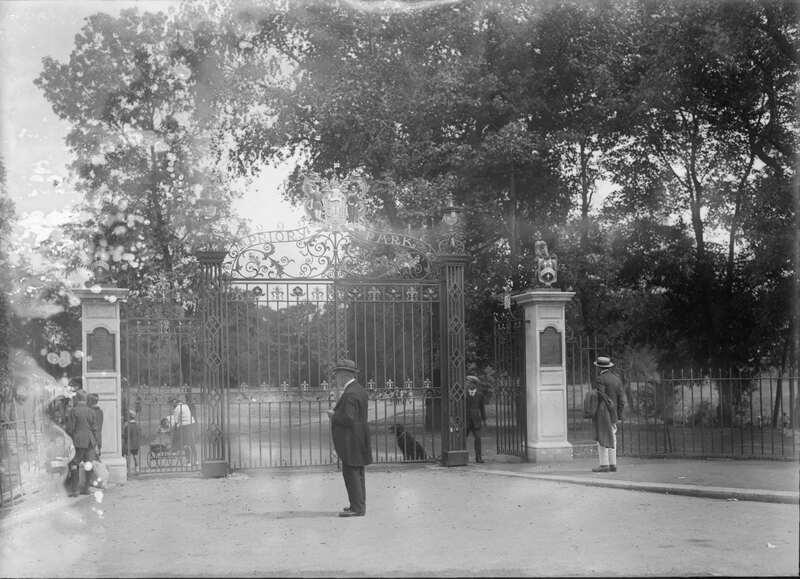 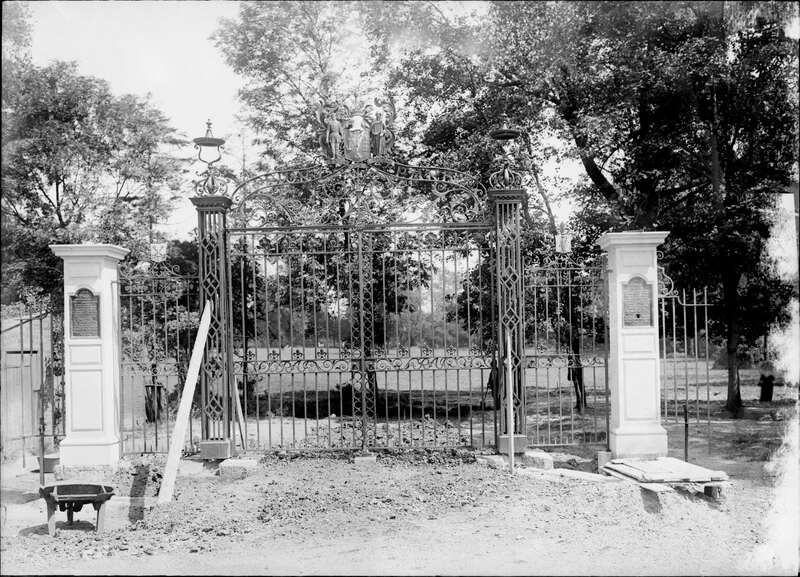 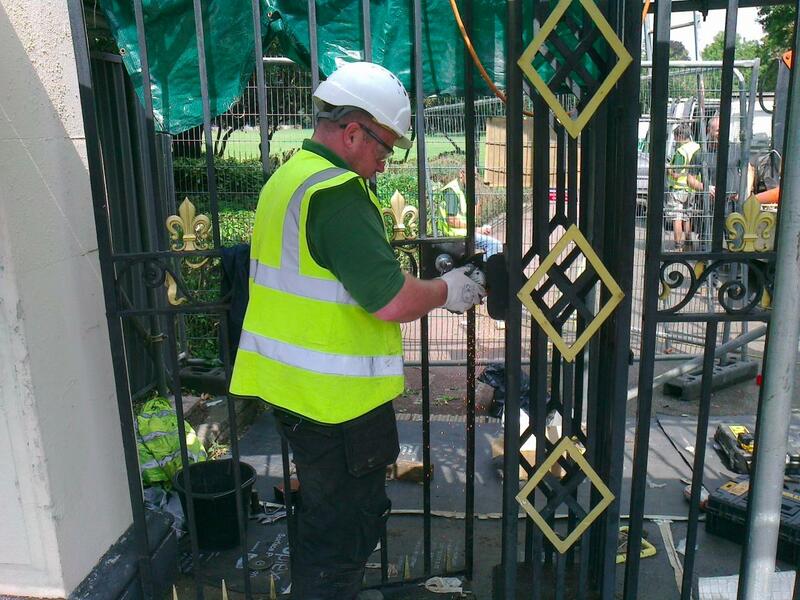 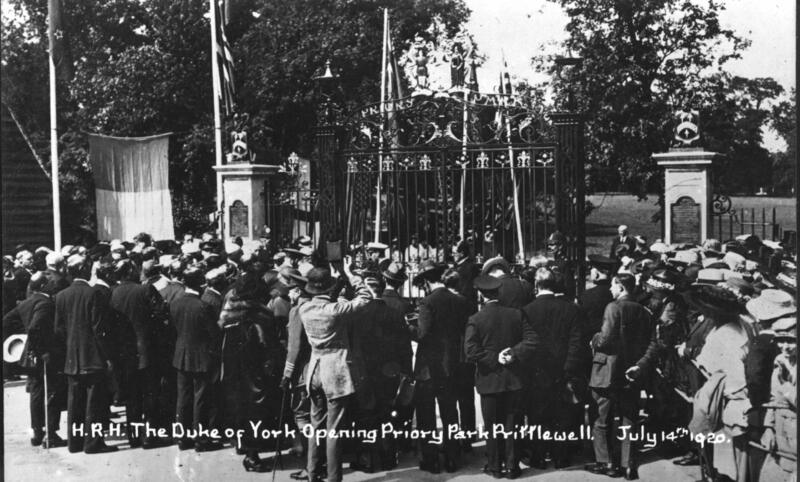 The gates being inspected by Robert Arthur, who gave the park and the gates to the borough. 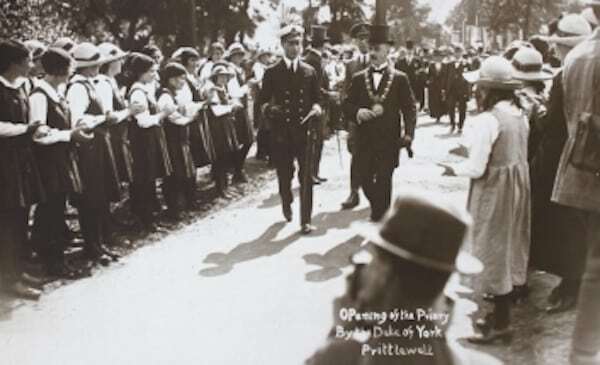 The future King George VI with the Mayor of Southend-on-Sea at the opening ceremony. 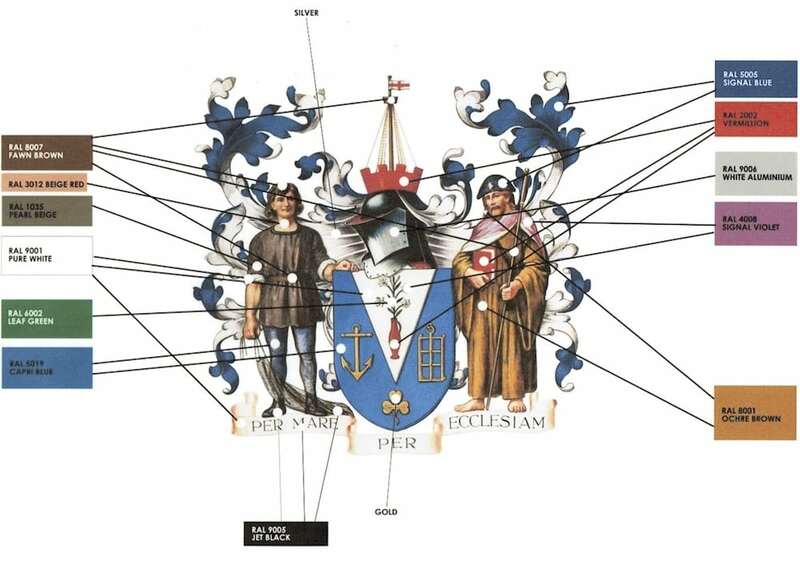 The paint specification for the crest.